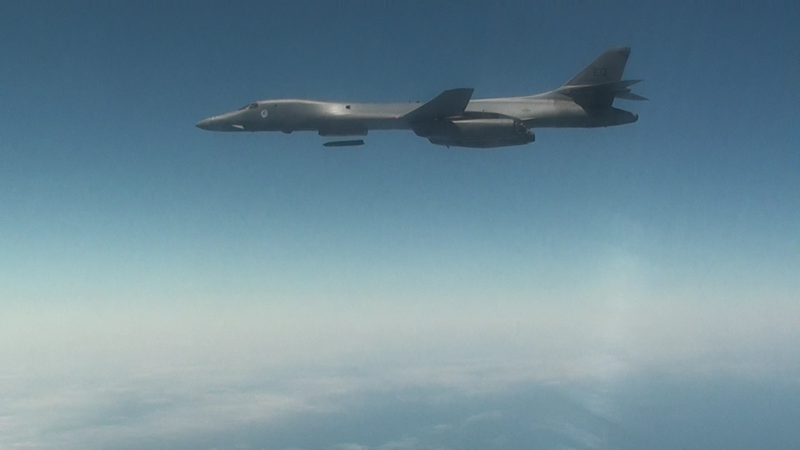 The Navy’s next-generation anti-ship missile scored in its first tactical configuration test launching from a B-1B Lancer bomber, Lockheed Martin announced on Friday. The West Coast test had the Lancer launch a Long-Range Anti-Ship Missile (LRASM) to hit a moving maritime target operating in the Sea Range off of Point Mugu, Calif.
“The missile navigated through all planned waypoints, transitioned to mid-course guidance and flew toward the moving maritime target using inputs from the onboard multimodal sensor,” read a release from the company. 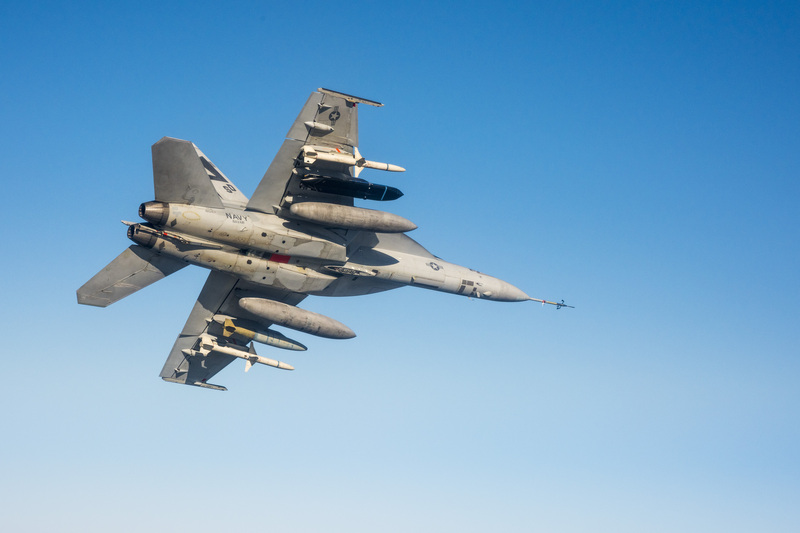 The test comes ahead of an initial operating capability for the missile from the Air Force bombers planed for next year and F/A-18E/F Super Hornets in 2019. LRASM, based on Lockheed’s Joint Air-to-Surface Standoff Missile – Extended Range (JASSM-ER), began as a DARPA program at the 2009 request of U.S. Pacific Command to rapidly field a modern air-launched, anti-ship weapon. The Offensive Anti-Surface Warfare (OASuW) Increment I is set to be followed by an Increment II for surface ships and air platforms. Lockheed has been pushing LRASM as an option spending internal research and development dollars for a July test that launched an LRASM from a Mk-41 vertical launch cell at sea. “Increment two was supposed to be a competition for both air and surface platforms. So we’ve been investing to reduce the risk of our surface-launched variant to compete for increment two,” Scott Callaway — LRASM Surface-Launch director at Lockheed Martin Missiles and Fire Control — told USNI News in July. While OASuW II is still an option for the weapon, Lockheed announced it would not compete LRASM for the planned over-the-horizon missile contest for the Littoral Combat Ship and the Frigate.